On June 5, 2017, the Ohio Supreme Court announced that it has adopted Amendments to Rule I, Section 16 of the Rules for The Government of The Bar of Ohio. The new amendments will take effect on July 1, 2017 and will permit an attorney spouse of an active duty U.S. military member stationed in Ohio to apply for admission to the practice of law without taking the Ohio bar exam. The proposed rule would require that an applicant submit evidence that they are a dependent spouse of a US service member on active duty orders here in Ohio; be a graduate of an ABA accredited law school; be admitted to practice law in another jurisdiction; be a member in good standing in all jurisdictions where the applicant is already admitted; establish that they possess the character and fitness required of Ohio applicants; and comply with all other ethical, legal, and continuing legal education obligations generally applicable to attorneys licensed in Ohio. The Rules for the Government of the Bar of Ohio Rule I, Section 16, outline the eligibility and application requirements. 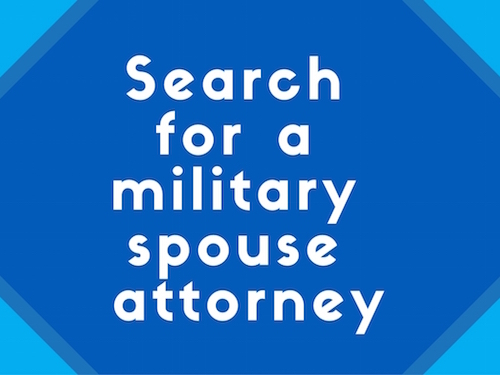 A version of the military spouse rule has been pending before the Ohio Supreme Court since 2009. That year, Mary Reding Smith, a California licensed attorney and military spouse found herself living in Ohio with her active duty Air Force husband. Although she had extensive legal experience and impressive credentials, she found her continued career trajectory limited: she was not licensed in Ohio where her husband and their family found themselves stationed, and the process to become licensed in Ohio was expected to take nearly as long as her husband expected to be here. Mary soon recognized that this was a circumstance likely to be repeated in each new state her husband would to be stationed, and a circumstance that other attorney spouses of active duty military faced. While living in Ohio, Mary decided to see if there was something that could be done about it and she rallied support for a proposed rule. “This rule means so much to our organization. Eight years ago the Ohio Women’s Bar Association file the first brief in the country to request an accommodation for military spouse attorneys. We are grateful for the support from the Ohio legal community and the years of dedicated work of the entire Ohio MSJDN licensing team,” said Mary Reding Smith, founder of the Military Spouse JD Network. 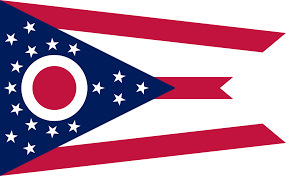 Earlier this year, Ohio adopted amendments to the pro hac vice rules which permitted out-of- state military spouse attorney applicants to apply for limited admission in Ohio for a two-year period. The rule announced today expands upon the previously adopted rule and permits military spouse attorneys admitted under the rule to practice with full rights and privileges as long as they are stationed in Ohio with their service member spouse. This is a common sense accommodation which will permit military spouse attorneys to continue their careers and support their spouses as a mobile military family. “Military families can expect to move typically every 2-4 years with their service member, and the military lifestyle can be a tremendous hardship on professional minded spouses, like attorneys, who must get relicensed in each new state they move to. With adoption of this rule, The Ohio Supreme Court has demonstrated its strong support of our nation’s military and their families,” said Elizabeth Hanning Smith, MSJDN Ohio Licensing Co-Director. The news from Ohio reflects a milestone accomplishment for the MSJDN licensing efforts, as it marks the 25th state to adopt a licensing accommodation rule for military spouse attorneys. Along with the Virgin Islands, the total number of jurisdictions showing support for military spouses in the legal profession now stands at 26.